Rogue Traders – The Men That Broke Banks… and countries! Amidst all the fairytale stories of successful traders that end up making billions of dollars with little more than a bit of market know-how (and possibly some inside information), there have been more than a few traders who have really made a mess of things while working at investment banks. Here are five such traders who, having got into trouble with some losses, managed to dig themselves deeper and deeper in a desperate scramble to cancel out their losses and conceal their activities. When they were found out, it was generally pretty bad news for them, and fatal for the banks they worked for – but how did it get so bad in the first place? 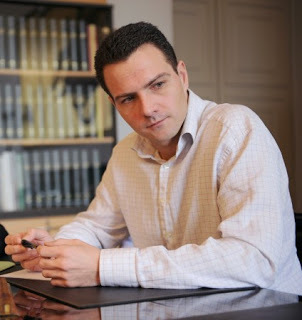 $6 billion might seem like a lot of money for one person to lose, but this is apparently something that Société Générale trader Jérôme Kerviel managed to do without the knowledge of his superiors between 2006 and 2008. During this time, he was earning a €74,000-a-year salary with bonuses of €60,000, a relatively meagre income for a professional trader. By making unauthorized use of computer systems, he created fake trades to hide his mounting losses, and was trading at levels in excess of the market capitalization of the bank in an effort to recoup these losses. While Kerviel has been sentenced to three years in prison, he has appealed the sentence and the final verdict will be given next year. At the time of the original trial, few were convinced – least of all the judge – that one man could be responsible for such massive losses, with some suspecting that he was made a scapegoat for wider failings at the bank. 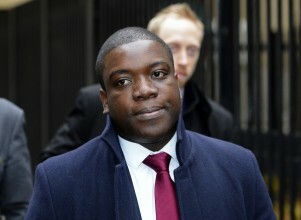 The most recent example of a high-profile rogue trader was Kweku Adoboli, who brought down the investment arm of Swiss bank UBS with losses of $2.3 billion. However, unlike many of the most famous rogue traders, who operated without the knowledge of their superiors, Adoboli claimed that his colleagues knew all about the hidden account he was using to hide losses, and that he had been pushed into this behaviour by management. The systemic failures at UBS were punished by the UK Financial Services Authority with a fine of £30 million and a public reprimand. The scandal spelled the end for UBS’ investment operations, leading to 10,000 job losses. 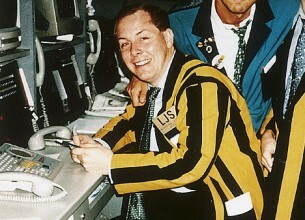 The UK’s most famous rogue trader, Nick Leeson, managed to run up losses exceeding $1.3 billion before being discovered. These losses put the oldest investment bank in Britain, Barings Bank, which had been established since 1762, out of business overnight. Derivatives trader Leeson was appointed general manager (futures markets) on the Singapore International Monetary Exchange in 1992. Interestingly enough, Leeson had been refused a UK brokers license due to fraud on his application, but succeeded in obtaining one in Singapore. Making unauthorized trades on their behalf, Leeson became one of Barings’ star traders, making profits for the bank of up to £10 million – 10% of their total annual income. However, he hit a losing streak and attempted to cover his losses by using an error account with the number 88888. This, as it happened, was fairly easy to do as he was working alone, under no supervision from anyone. The losses in the error account spiralled from £2m in 1992 to £208m in 1994. In an effort to halt the slide, he used a strategy known as a ‘short straddle’, involving selling a put and a call simultaneously. This backfired, and the losses nearly quadrupled over the next year to £827m ($1.3 billion) by February 1995, bringing down the bank and prompting Leeson to go on the run. After a high-profile pursuit, the authorities caught up with Leeson, and he was sent to jail for six years. After he got out of prison, he wrote two books, one of which was turned into a major film starring Ewan MacGregor – ‘Rogue Trader’. He then went back to university to study Psychology, and is frequently asked to comment by the press whenever a financial scandal breaks. 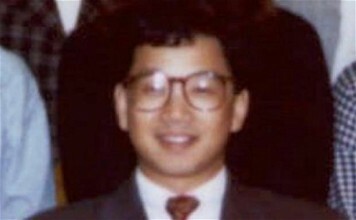 Between 1983 and 1995, Japanese government bond trader Toshihide Iguchi made 300,000 unauthorized trades, losing his employers a cool $1.1 billion before his activities were finally discovered. The downward spiral began in 1983, when he incurred a $70,000 loss and concealed it from management in an effort to avoid losing his job. From there on in, the losses just kept getting bigger until they were sufficient to bring down the entire bank. Iguchi spent four years in prison for his crimes, and upon his release he wrote three books about his experiences at Daiwa. The royalties from his books were enough to cover his $2.6 million personal debt, and he used what was left over to start an English language school in Kobe, Japan. 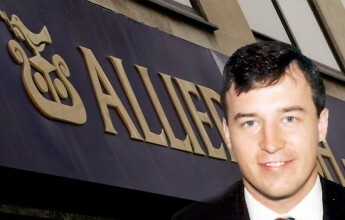 John Rusnak was a forex trader that was brought in by Allfirst Bank (later merged with Allied Irish Bank) to change their forex operations from merely a hedging vehicle to yielding a profit. This proved to be a catastrophic appointment, with Rusnak bringing incurring massive losses of $692.1 million, which, of course, he attempted to conceal. When the losses were discovered, Rusnak wound up spending six years in jail for hiding his losses. So what happened? It all started with a large Yen/Dollar trade. After the bursting of the Japanese bubble, Rusnak was sure that the Yen wouldn’t fall any more against the Dollar. So sure, in fact, that he didn’t hedge his forward contracts, believing that the only way was up for the Yen, and bet big on this assumption. Then came the Asian crisis, the Yen fell, and a massive loss was incurred. In a panic, Rusnak tried to conceal the loss from his bosses by entering false options into the system to make it look like he had in fact hedged the positions, and asked for more money from high brokerage accounts in an effort to win back the money he had lost. Management, who were unaware of the huge losses that had previously been incurred, granted his request, and Rusnak was rewarded for his apparent trading success with bonuses of $550,000. However, when the bank asked for capital to be released, it soon became clear that Rusnak had been in the red the whole time, and he was duly fired along with six senior executives that had failed to detect the scam. After serving six years in prison for the cover-up, Rusnak was released and ordered to pay back $1,000 a month for the rest of his life.